For over 17 years I have been creating websites for out-of-the-box creatives, change-makers, and heart-felt healers who require a whole new paradigm for marketing. Traditional marketing simply doesn’t work for you, and there’s a reason. It wasn’t designed for people who care about people. Most website “designers” are not artists at all, they are scholars who value certainty over creativity and create online marketing funnels that bore people like us to tears. You need an online funnel that FEELS like you, that INSPIRES folks to interact with you, and that RESONATES with folks who deeply care about their work, their lives and their world. But how? In this valuable virtual training, I will reveal the time-tested steps that ensure the websites I create are authentic and resonate with my clients’ personality and purpose. It’s all about Law of Attraction and how to imbue your site with that mystical power so your perfect customers are drawn to you and inspired to interact with you. 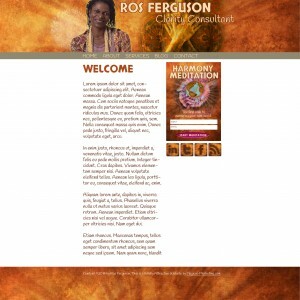 I will also invite clients Ros Ferguson and Anne Baker to join me and share their transformational experiences receiving their new authentic brand and wildly attractive website. In this special workshop, the steps to creating the amazing transformation in your marketing and your life are revealed. 5) PLUS we will save time in the presentation for your questions and contributions.